The Buffalo Score is a new grading system for the endovascular treatment of cerebral AVMs. It is a 5-point system, and higher scores is associated with higher complication rates. 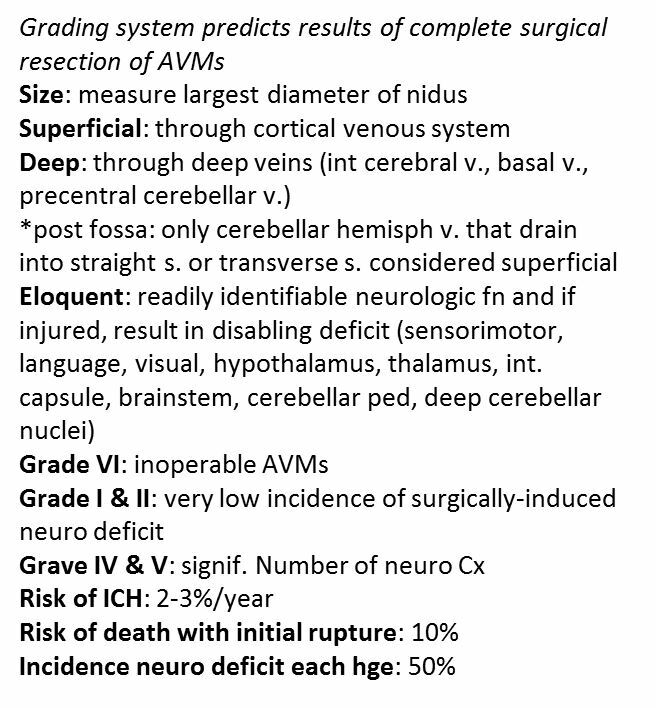 This new score was created because components of the Spetzler Martin Grading scale, while useful for determining suitability of surgical treatment of cerebral AVMs, may not be relevant in determining suitability for endovascular treatment. 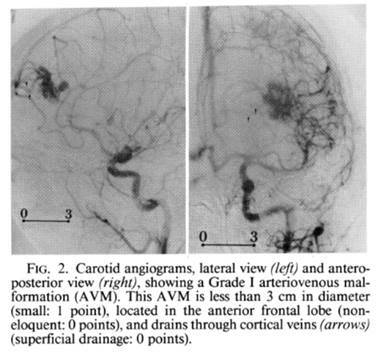 For example, the diameter and number of arterial pedicles supplying the AVM nidus is an important factors to consider in endovascular intervention, since smaller vessels are more prone to injury with catheterization, and a greater number of arterial pedicles produces more risk with each embolization. 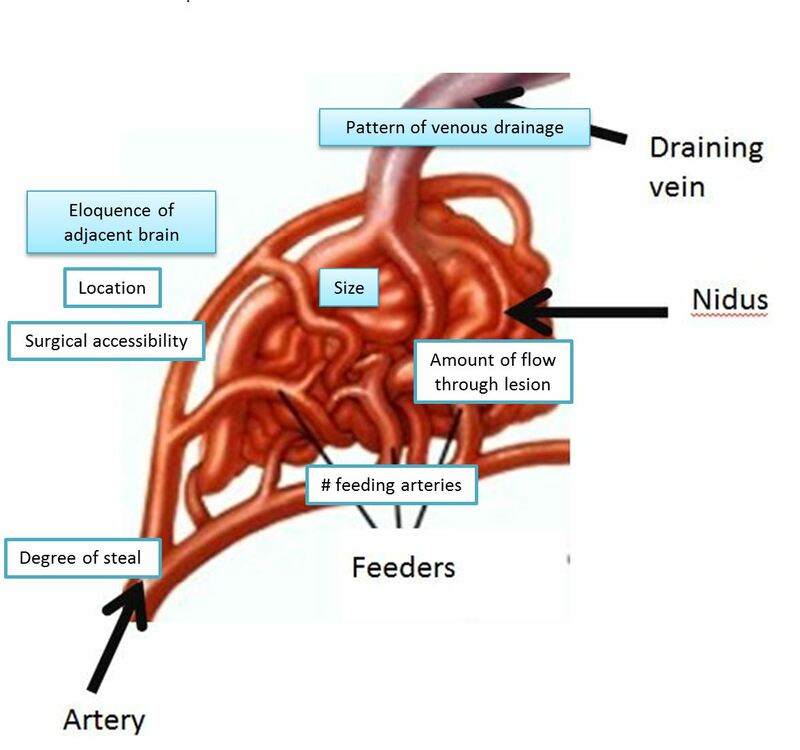 The actual size of the AVM nidus and venous drainage pattern is important when considering surgical resection, but is less important during endovascular embolization. 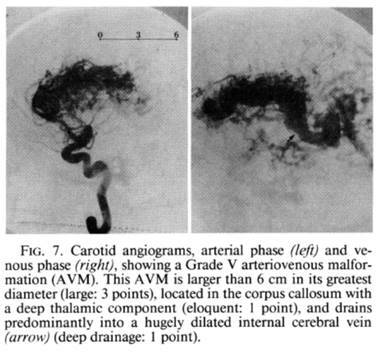 Measurement of arterial pedicle diameter is made at a distal segment of the arterial pedicle, within 1 cm of the AVM nidus. Eloquent location is determined based on the nidus location and is defined according to the grading system of Spetzler-Martin. Any portion of AVM nidus located within motor or sensory cortex, language and vision, and deep eloquent areas (hypothalamus, thalamus, brainstem, cerebellar peduncles) is considered eloquent in location. This system has not been applied or validated yet. Levy, EladI et al. 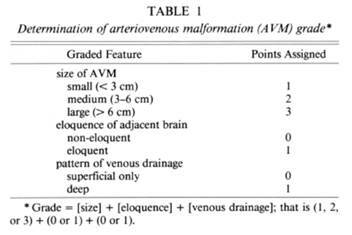 “A Proposed Grading System For Endovascular Treatment Of Cerebral Arteriovenous Malformations: Buffalo Score”. 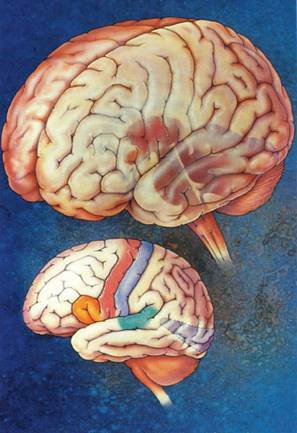 Surgical Neurology International 6.1 (2015): 3. 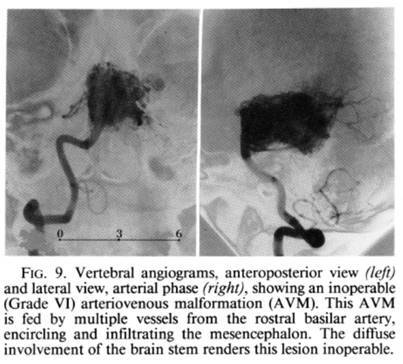 Distal aneurysms – more distal locations beyond the circle of Willis. 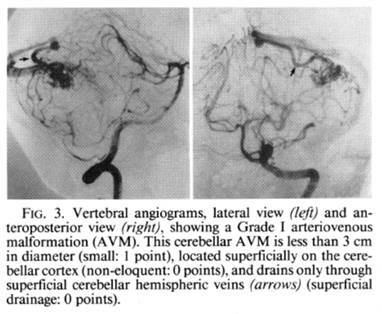 Size of brain AVMs is measured on the pre-treatment MRI in the 3 views which includes the AVM’s largest diameter. 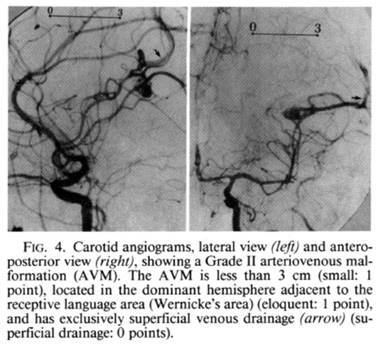 AVM dimensions as seen in conventional angiography. 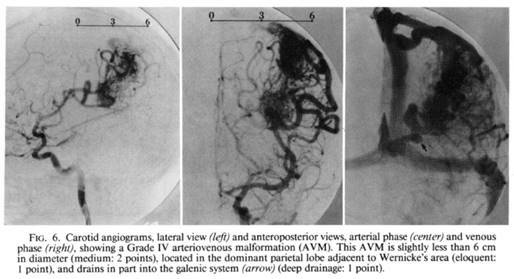 MRI cuts showing the 3 dimensions of AVM. 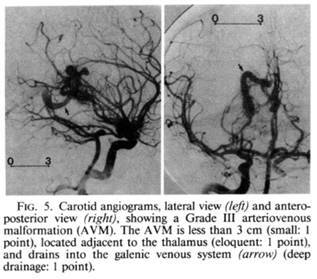 MRI sections of an irregularly-shaped AVM. Measure AVM size in 3 dimensions from pretreatment angiogram in lateral and anteroposterior projections (see Figure above) or from the MRI axial cuts. From these dimensions, a calculation can be made to estimate AVM volume in mL with the ABC/2 formula. Spetzler, Robert F., and Neil A. Martin. 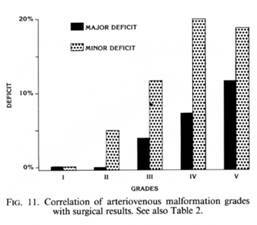 “A Proposed Grading System For Arteriovenous Malformations”. 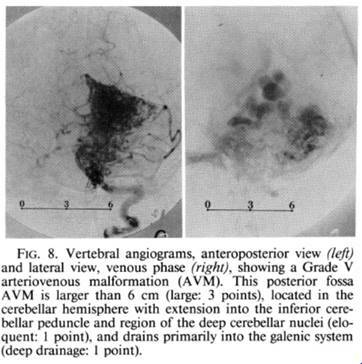 Journal of Neurosurgery 65.4 (1986): 476-483. Web.